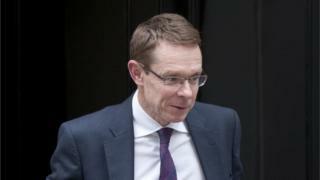 John Lewis has confirmed managing director Andy Street is "interested in running" for the office of the Mayor of the West Midlands. Mr Street will apply to be the Conservative mayoral candidate. Should Mr Street be selected as the party's choice, he would step down from his John Lewis role, the firm said. Mr Street, who also chairs a body responsible for driving economic growth in the region, has led the department store chain for nearly a decade. He was brought up in Birmingham and joined John Lewis in 1985 as a graduate from Oxford University. Mr Street has overseen a 67% increase in sales at the department store chain - to £3.7bn last year - since he became managing director in 2007. The news comes after months of speculation about Mr Street's political debut. If selected by the Conservatives, he will be up against Labour candidate Siôn Simon, MEP for the West Midlands and a former Birmingham MP. "Should Andy be successful in his application, he has agreed with the chairman that he should step down from his role and a further announcement will be made to confirm the succession plan for the future leadership of the John Lewis brand," the John Lewis partnership said.